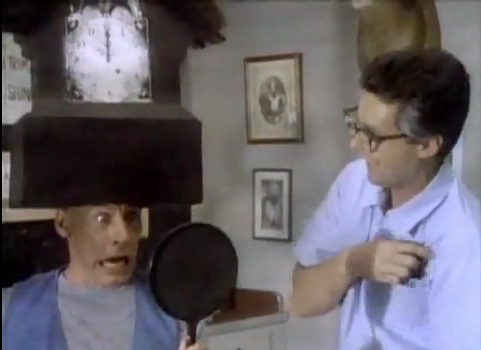 SATURDAY MORNINGS FOREVER: HEY VERN, IT'S ERNEST! Emshell Producers Group, DiC Entertainment, L.P.
Hey, Vern, it’s Jim Varney as Ernest P. Worrell: the fictional character created by Nashville advertising agency Carden and Cherry for use in various local television ads. First appearing in 1980 in an ad for the Dallas Cowboys cheerleaders appearing at Beech Bend Amusement Park, the ads were shot using a handheld camera in the home of producers John Cherry and Jerry Carden, and later Varney’s. They were structured in a way that the viewers would take the place of Ernest’s unseen neighbor, Vern, as Ernest would talk to Vern about something before eventually working his way around to a favorable review of the product he was advertising. 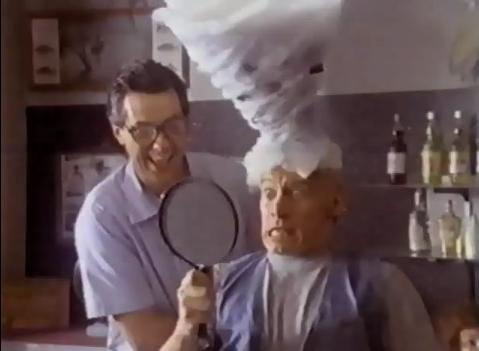 Vern, portrayed by the camera, would always indicate his annoyance towards Ernest and his antics by doing things such as slamming the door in Ernest’s face or shaking his head “no” in response to Ernest asking him to do something with him. Ernest, however, was perpetually oblivious to Vern’s dislike of him as Ernest regarded Vern as his closest friend. After the initial ads garnered enough popularity to bring in additional clients, Ernest began appearing in not only local ads for areas outside of Tennessee, but also in national spots for Coca-Cola products, Mello Yello, Chex Cereal and Taco John’s. Varney would sometimes have to shoot 25 different versions of a spot in a single day. Additional members of the Worrell family, all portrayed by Varney, began to be worked into the spots to add additional variety and flavor to the Ernest brand. With his popularity at an all-time high and his catchphrase “KnoWhutIMean?” entering the American lexicon, Carden and Cherry expanded the brand into movies with Knowhutimean? Hey Vern, It’s My Family Album in 1983, Dr. Otto and the Riddle ofthe Golden Beam in 1986 and ErnestGoes to Camp in 1987. The movies, though not critically well-received, were produced on small budgets and became financial successes as a result. The following year, Ernest was given his own Saturday morning TV show. "I thought you said a ty-PHOON." "I thought you said 'a clock at NOON'." "A giant macaROON? You know, it could work." -Ernest’s Tongue: Butler, in a tongue costume on a mouth set, would play Ernest’s tongue as it was exposed to several kinds of food. 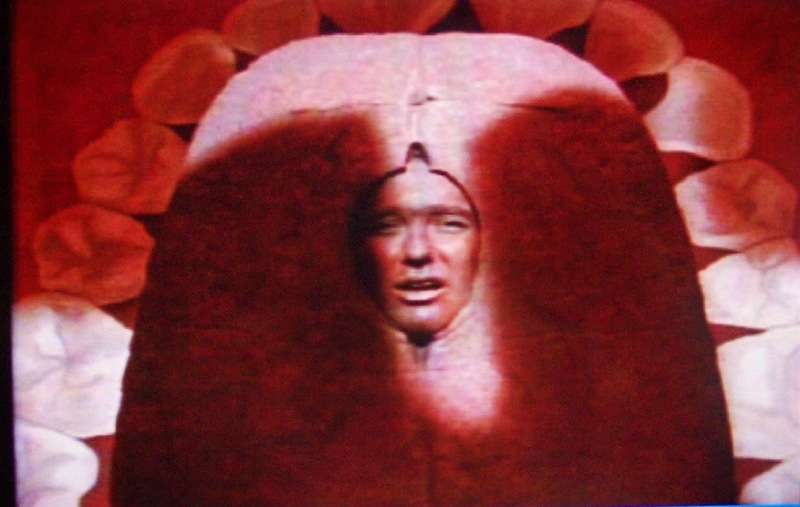 -Baby Ernest: Varney would portray his younger self with his head through a hole in a crib with an attached doll baby body and give a baby’s interpretation of something his parents had said or done. The last person who messed with Auntie. 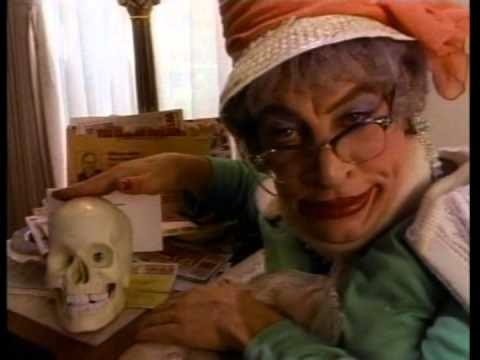 -Auntie Nelda: Ernest’s aunt (also Varney) who offers her unabashed opinion on anything. A chip off the ol' (wooden) blockhead. 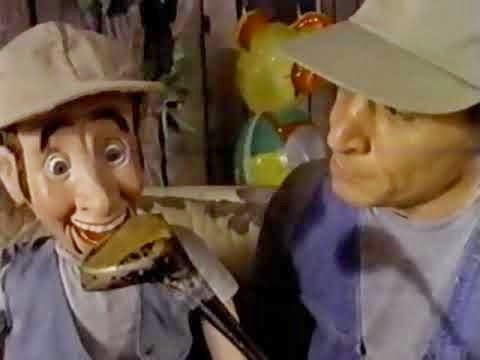 -Woody: Ernest’s ventriloquist dummy that resembled him. This is what happens when you don't clean hidden areas, kids. -Dust Bunny: a dusty bunny puppet that would enter and leave a scene by sneezing and dropped by to talk to Ernest for a bit. Dr. Otto and his creepy third hand on his head. -Dr. Otto: the evil mad scientist (Varney) from Dr. Otto who was always creating some sinister invention in his lab. Sound effects so easy, your baby sibling could do it. -Lonnie Don’s School of Hollywood Sound Effects: Lonnie (Gailard Sartain), a sound effects wizard, demonstrated how to make a sound he used from one of his fictional movies. The procedures, and sounds, were always the same: cupping the mouth with a hand and blowing a raspberry. -Matt Finish: A play on “matte finish,” a type of non-glossy photo paper, “photographer at large” Matt (Sartain) loved taking pictures of everything. -Mrs. Simon Simmons’ Mind Your Manners: A parody of Emily Post, Mrs. Simmons (Jackie Welch) would give an etiquette lesson that would often end up with her abandoning protocol. The family that pies together stays together. 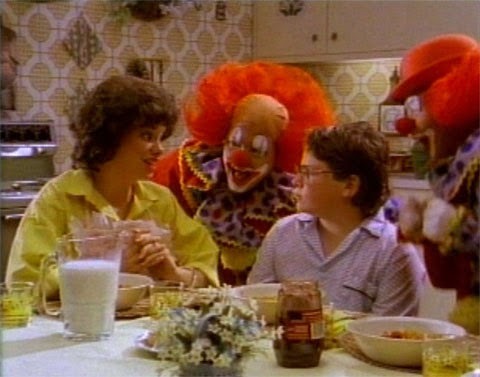 -My Father the Clown: a spoof of family-friendly sitcoms that focused on the life of professional clown Mike (Bruce Arntson), his stay-at-home wife (Denice Hicks), and their two sons, aspiring clown Skeeter (Debi Derryberry) and ordinary boy Eddie (Mark Goldman). Eddie was often the victim of Mike and Skeeter’s clown pranks. -Existo the Magician: Existo (Arntson) was a clumsy magician that couldn’t even perform the simplest of tricks correctly. 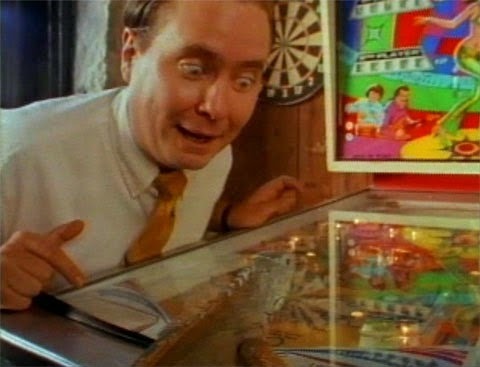 He's a pinball lizard (pun courtesy of the show, not your blogger). -Mac and George: Mac (Mac Bennett) talked about his roommate George, an iguana, seemingly capable of doing many things humans could and better, such as playing piano or rocking a pinball machine. 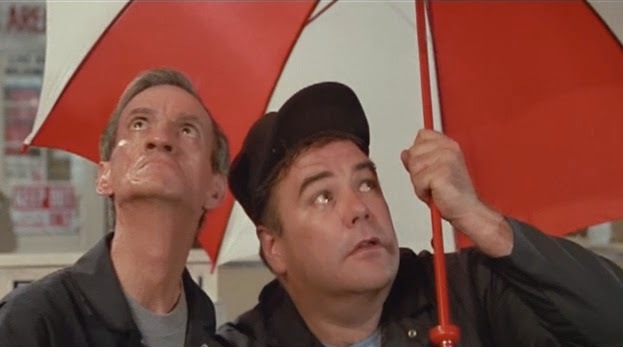 Bobby and Chuck keeping dry. -Chuck and Bobby: brothers Chuck (Sartain) and Bobby (Bill Byrge) would always find themselves in madcap adventures. 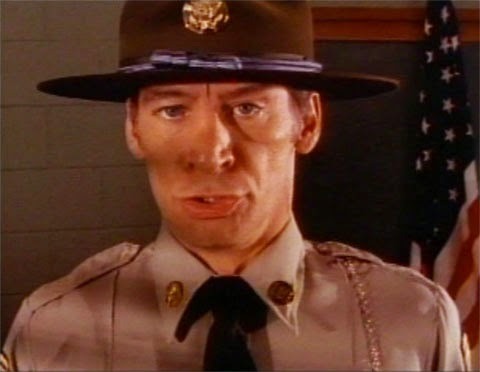 The characters appeared in various Ernest films as well. 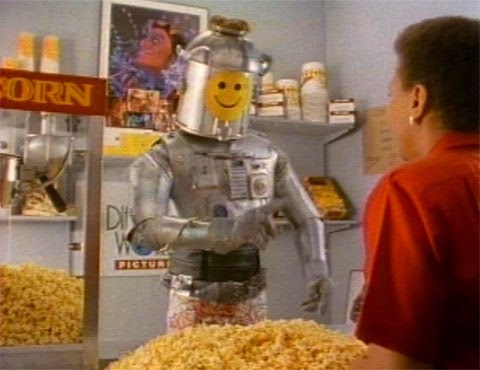 -Willie the Robot: a homemade robot (Butler), also from Dr. Otto, who was a robot trying to make it in a human's world. 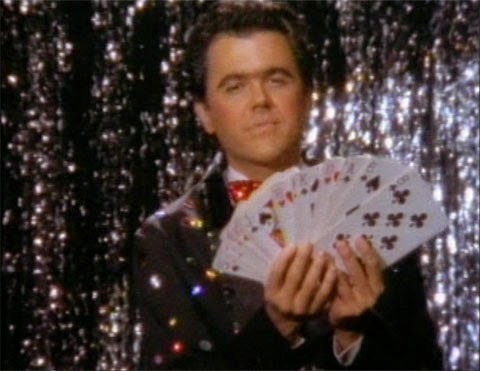 Although the series didn’t last, Varney did take home a Daytime Emmy Award for his performance. 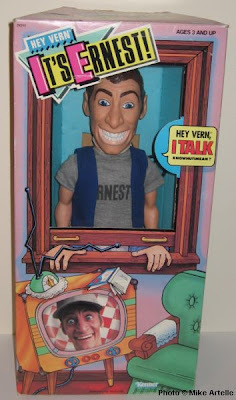 Ernest continued to appear in commercials, 8 more films, and even received his own talking doll by Kenner in 1989. Gradually, the phenomenon that was Ernest began to die down, resulting in his largely leaving the national consciousness (outside of tributes and parodies) and returning to his regional roots. Varney, however, grew to have a long and varied career in the movies. After his death in 2000, Carden & Cherry had animation company face2face create a CGI version of the character for new commercials in 2005. John C. Hudgens, an advertising and broadcast producer from Little Rock, Arkansas, provided the voice for the character after having played an Ernest-like character in several regional commercials. “Hey Vern, It’s Outer Space” (9/17/88) – Ernest tries to get rid of a bomb-like alien device. “Hey Vern, It’s Clothing” (9/24/88) – Ernest can’t decide what to dress up as for his costume party. “Hey Vern, It’s Scary Things” (10/1/88) – Ernest searches for the Boogeyman in Vern’s house on Halloween. “Hey Vern, It’s Movies” (10/8/88) – Ernest enters a home movie contest. “Hey Vern, It’s Magic” (10/15/88) – Ernest makes Vern’s dog disappear and can’t bring him back. “Hey Vern, It’s Sports” (10/22/88) – Ernest challenges a pro wrestler to a match. 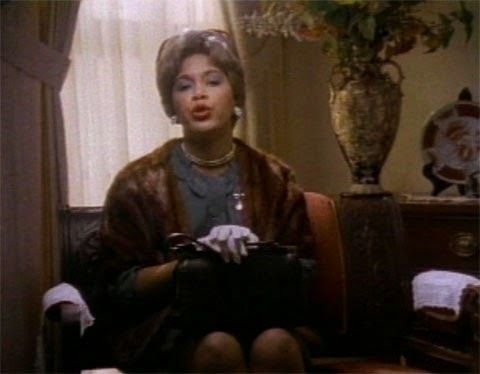 “Hey Vern, It’s Pets” (10/29/88) – To get the money for a puppy, Ernest opens up a pet daycare center in Vern’s house. 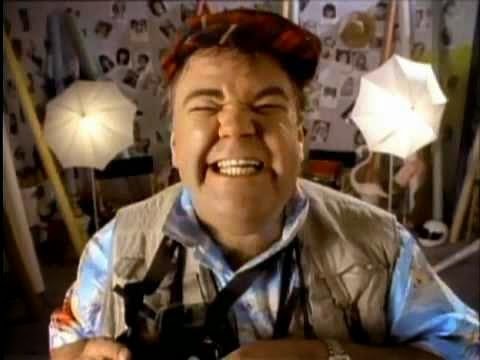 “Hey Vern, It’s Hobbies” (11/5/88) – Ernest helps Vern try to capture a rare butterfly for his collection. “Hey Vern, It’s Food” (11/12/88) – Ernest enters the town bake off. 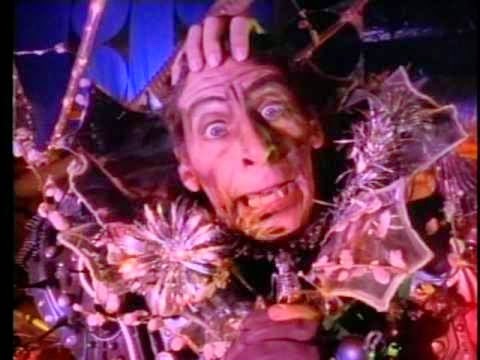 “Hey Vern, It’s Holidays” (12/3/88) – Ernest sets the world record for celebrating all the major holidays in one day. “Hey Vern, It’s School” (12/10/88) – To get a flashy watch, Ernest must finish his classes in school. 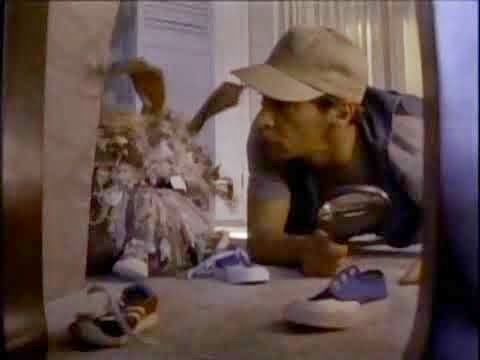 “Hey Vern, It’s Lost & Found” (12/17/88) – Ernest searches for treasure under Vern’s house. “Hey Vern, It’s Talent” (12/24/88) – Ernest enters a talent show. Labels: 1980s, DiC Entertainment, Emshell Producers Group, Hey Vern, It's Ernest!